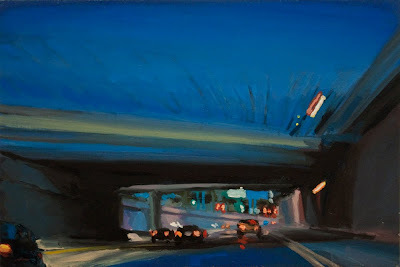 Oil on birch panel, 2010, 4.625"x 7"
Todays painting is of the Lodge freeway in Detroit just south of 7 mile. I like this part of the freeway with its high walls, it has the feeling of a river canyon out west. I was trying to capture some motion and feeling of speed.